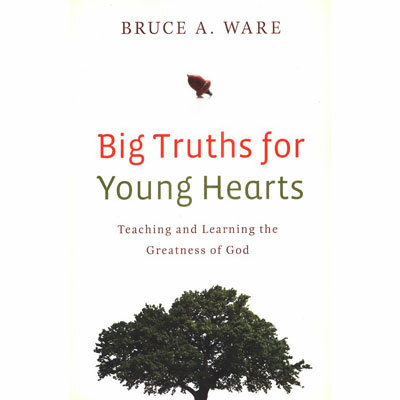 With Big Truths for Young Hearts, Bruce Ware, (you guessed it!) a theology professor, encourages and enables parents of children 6–14 years to teach through the whole of systematic theology at a level their children can understand. Parents can teach their children the great truths of the faith and shape their worldviews early, based on these truths. The book covers ten topics of systematic theology, devoting several brief chapters to each subject, making it possible for parents to read one chapter per day with their children. With this non-intimidating format, parents will be emboldened to be their children's primary faith trainers—and perhaps learn a few things themselves along the way. Bruce Ware is an evangelical theologian and author. He is currently professor of Christian theology at Southern Baptist Theological Seminary. Formerly, he was at Trinity Evangelical Divinity School where he served as associate professor and chairman of the Department of Biblical and Systematic Theology. Prior to this, he taught at Western Conservative Baptist Seminary and at Bethel Theological Seminary. Dr. Ware has written numerous journal articles, books, and book reviews.